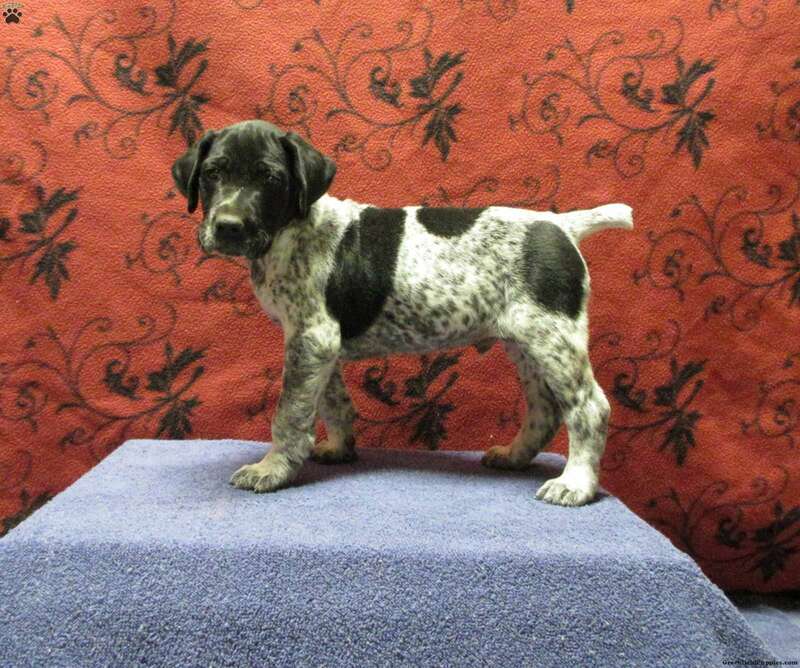 Meet Shadow, an intelligent German Shorthaired Pointer puppy with an active personality! This handsome pup is vet checked and up to date on shots and wormer. Shadow can be registered with the AKC and comes with a health guarantee provided by the breeder. To find out more about this wonderful pup, please contact Jed today! Shadow is up-to-date on his shots and dewormed he is 8 weeks old on January 24th 2019, raised on a hunting preserve out of good hunting lines with both parents site. The Grand sire has champion bloodlines. 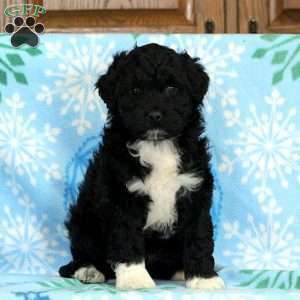 $1,195.00 Portuguese Water Dog Puppy Our Puppy of the Day! 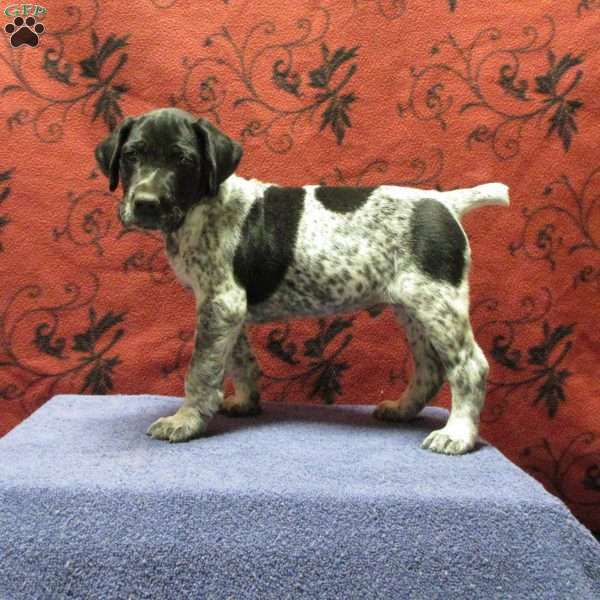 Jed Burkholder is a breeder located in Milan, Pa who currently has cute litter of German Shorthaired Pointer puppies. These darling pups are vet checked and up to date on shots and wormer. These darling pups can be registered with the AKC and comes with a health guarantee provided by the breeder. To find out more about these amazing pups, please contact Jed today!